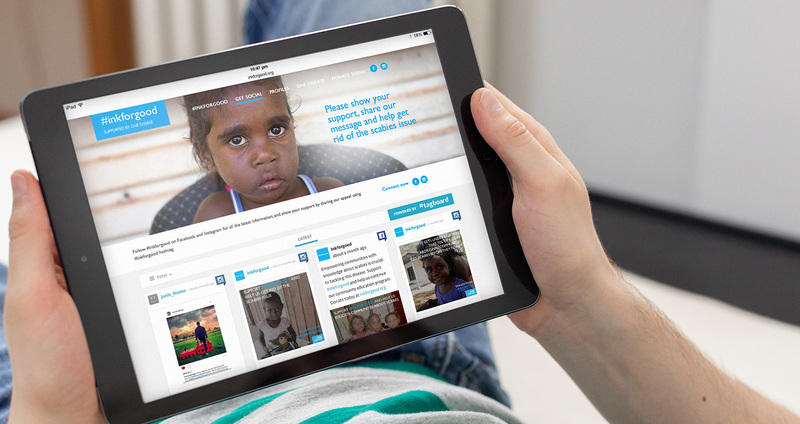 Despite living in one of the world’s wealthiest countries, many indigenous Australians still struggle to exist on the poverty line. Unable to afford or have access to modern medicine, preventable skin diseases like scabies still afflict many children living in these communities. 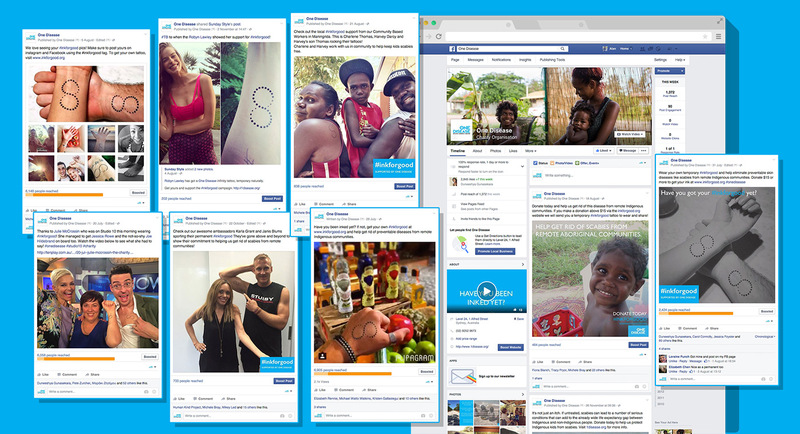 The charity ‘One Disease’ presented us with the challenge to develop an online platform to create awareness and raise funds to help stamp out scabies in these regions. 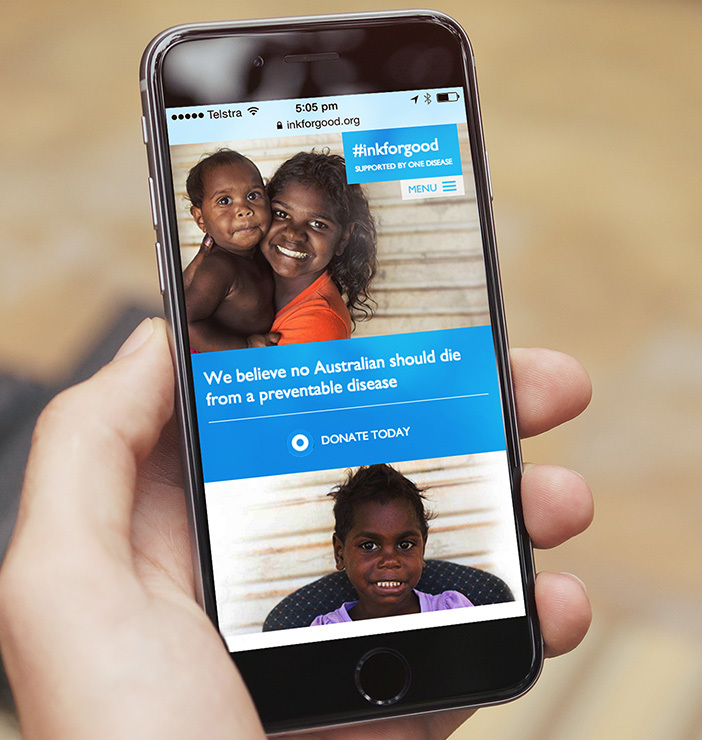 Collaborating with indigenous elders, One Disease launched the campaign #inkforgood. 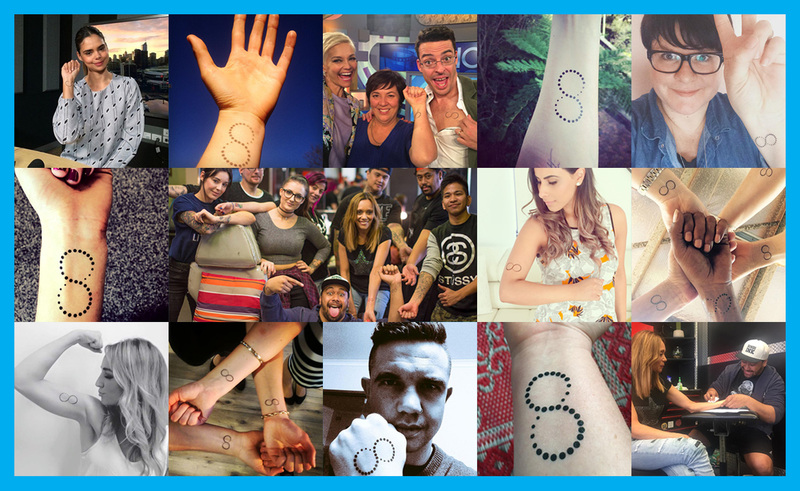 The idea was to use a design created by one of the community leaders and turn it into a potent symbol for the campaign – one that would raise funds by sponsoring supporters to have it permanently tattooed on their bodies. 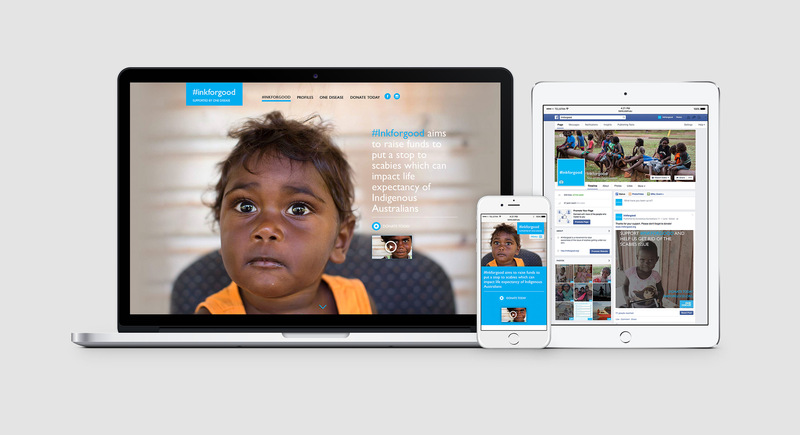 In close collaboration with One Disease, we designed and created a fully responsive #inkforgood website that would raise awareness of scabies, showcase the supporters nominated to be ‘inked’ and galvanize Australians into donating or taking part. For every visitor of the site, our message was clear - the only thing that should get under the skin of an Australian is a tattoo, not a preventable disease. 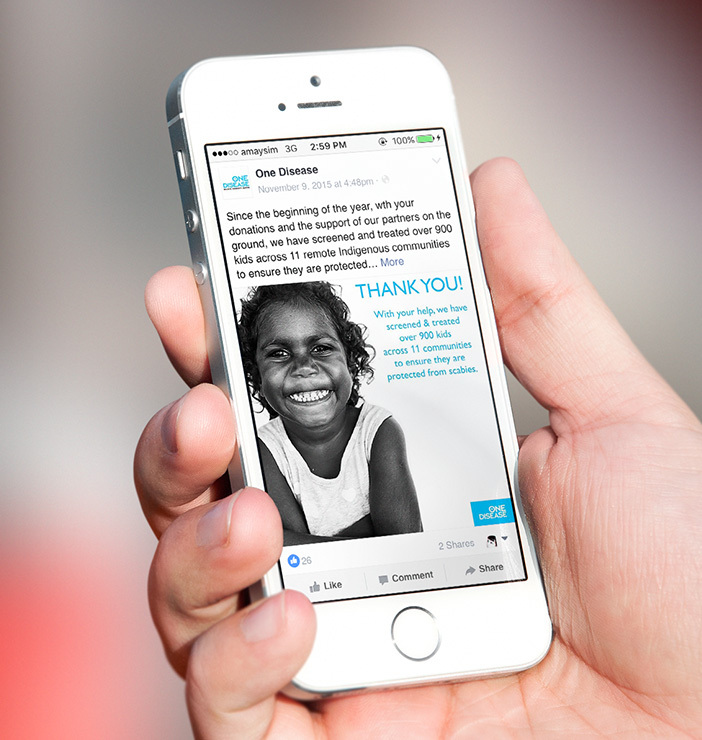 The campaign raised over $40,000 in just a few weeks, more than enough to start the treatment of young indigenous children. The program is well on it's way.